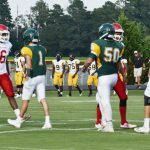 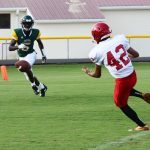 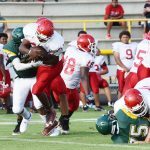 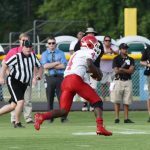 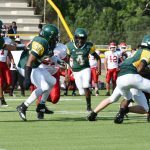 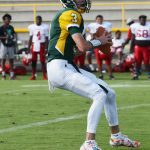 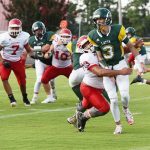 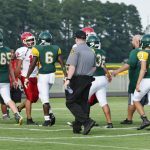 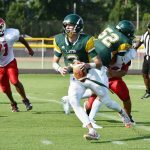 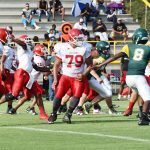 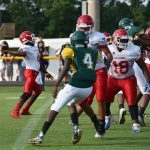 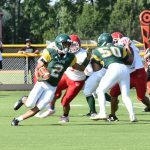 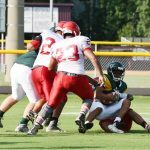 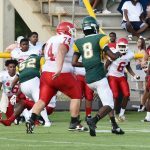 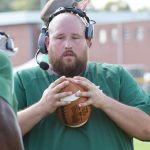 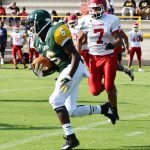 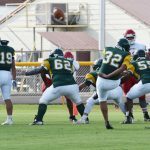 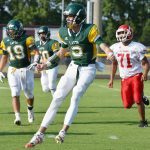 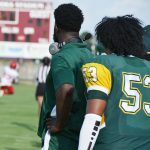 The Latta Vikings took on the Red Springs Red Devils on Thursday, August 9, at the 5:00 p.m. game held at Lumberton High School in Lumberton, N.C., and handed the Red Devils a 14-6 loss. 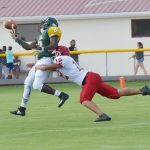 Latta took an early lead in the game. 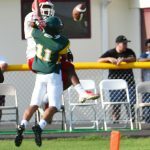 However, with 9.7 seconds remaining in the first half Red Spring’s #7 caught one on the 1-yard line. 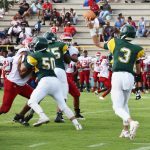 On the last play of the first half, #3 carried the football into the end zone. 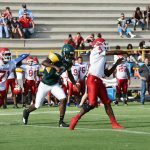 The 2-point conversion failed. 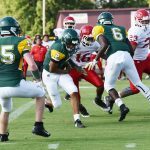 Latta led 7-6 at halftime. 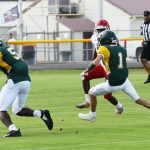 On the first play of the second half, Latta’s Dylan Brewer threw one to Deonte Stanley who carried it in for a touchdown. 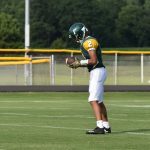 The PAT was good by Kavi Patel. 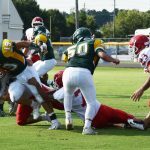 Latta led 14-6. 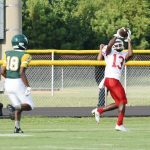 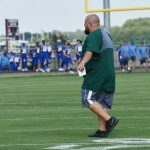 The Red Devils scored a 75-yard pass to #13 from #1. 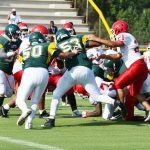 However, the score was called back as there was a penalty against Red Springs. 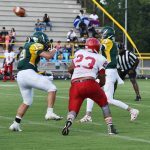 Dylan Brewer completes one to #6 for 12 yards. 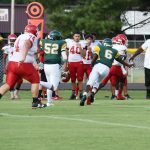 Incomplete pass to #6 for Latta.